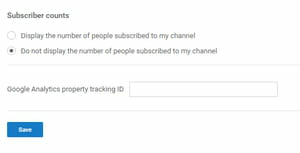 YouTube displays the number of users who have subscribed to your channel below each of your videos (next to the Subscribe button) and on your channel page. 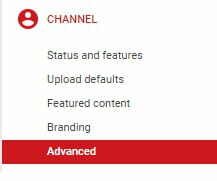 This setting is enabled by default, but if you would like to prevent the streaming platform from disclosing the number of subscribers, you can turn off the Subscriber Counts in your Channel Settings. Click Save to apply your new settings. Published by deri58. Latest update on July 19, 2018 at 07:14 PM by Olivia Long. This document, titled "How To Hide the Subscriber Counts on YouTube," is available under the Creative Commons license. Any copy, reuse, or modification of the content should be sufficiently credited to CCM (https://ccm.net/).